Marcel is one of the senior partners at Smith Neufeld Jodoin LLP, joining the firm as an associate lawyer in 1983. 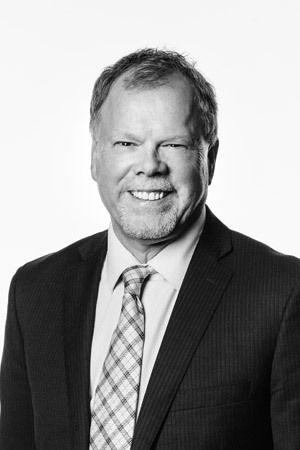 Marcel became a partner at the firm in 1987 and is the senior civil litigation counsel at Smith Neufeld Jodoin LLP. Marcel graduated from the University of Manitoba with a degree in economics and then graduated from Law School in 1982. Marcel practices mainly in the areas of civil litigation, employment law and corporate law. He spends most of his time conducting Examinations for Discovery or in Queen’s Bench Courts throughout Manitoba. Marcel has been a guest speaker at the Law Society of Manitoba on a number of topics including law office management and computerization and is a member of the Manitoba Bar Association. Marcel also is a board member and director of the organization enVision Community Living. Marcel has a keen interest in computers and technology and is the mobilizing force behind making the firm one of the most technologically advanced in the Province of Manitoba. Marcel has been a member of the board of directors of a number of charitable and non-profit organizations.